No matter what industry you're in, from sports equipment to in-home care, your customers are the most important part of your business. Your methods, products, services, and the valuable time of your employees are all dedicated to making them happy and growing their ranks through good reputation and excellent marketing tactics. After all, if it weren't for customers who want what you provide, there would be no purpose in having a business at all! 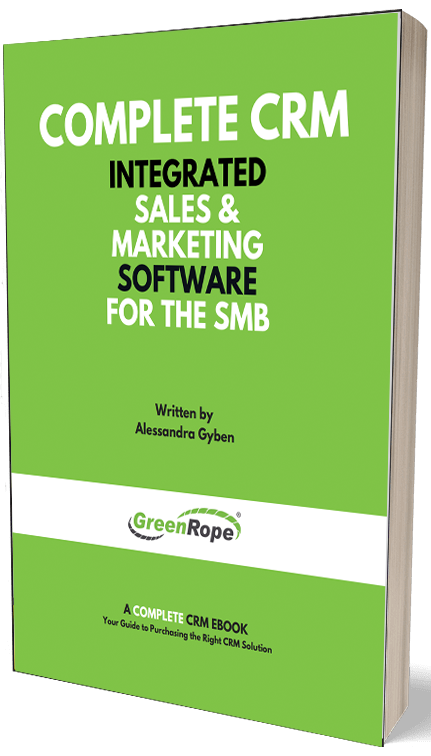 For this reason, the vast majority of companies have adopted CRM software, allowing them to keep excellent customer records and provide continuous personalized service. While this has been an invaluable tool for customer service and even sales representatives, it also has incredible potential for companies when used in combination with the rising trend of marketing automation. For centuries, the marketing efforts of each company have been fine-tuned by emotional, psychological, and design experts who use a combination of skills and intuition to reach their target audiences. However, as modern consumers become less responsive to pitching and more inclined toward remote communication, a great deal of marketing now takes the form of emails, social media posts, and providing useful content. Adapting to this reality, marketers have developed new technology to help them share content and send out large numbers of emails to potential leads. This evolved to include tools like scheduling when messages are sent and tracking analytics about which methods and messages produced the most click-throughs and customer conversions. However, at this stage marketing automation was only able to use the content provided by the professionals using it. Soon enough, clever marketers began programming them to do things like change the name in each email to match the recipient lead and send automatic 'thank you' messages for clients that join a mailing list or buy a product. But why stop there? CRM or Customer Relationship Management software are software is a system that helps companies track their customers and other important contacts and data. At minimum, they function as a Rolodex including names and contact information. However, they can also contain a plethora of useful information like birthdays, payment information, the date of their first purchase, their entire purchase history, and even their history of contacting customer support and the results of each contact. Truly sophisticated CRMs include customer service features like online chat, email tracking, and even transcriptions from VOIP based phone conversations. Many allow employees to add special notes about a customer like preferences in service style, colors, and unique circumstances. In other words: everything you need to know for truly personalized marketing techniques. It's a rare moment when automated programs can provide high-quality personalized service, but this opportunity is before us now. When you integrate your marketing automation with the detailed customer data in your CRM, it can use that information to do a lot more than address form letters to customers by name. Now your marketing software can be aware of customer birthdays, favorite colors, the products they like to buy, and their last customer service experience. This information can be used in dozens of ways, both for rewarding your existing customers and better targeting for new leads. Based on buyer histories and personal preferences, your marketing automation could, for example, offer personalized birthday discounts to customers on items they are very likely to desire. Leads, on the other hand, can be targeted and guided through the sales funnel based on how well they match existing conversion success examples. No matter how you look at it, your CRM and marketing automation are better together.